Three very nice pools ,the smallest is the hottest, the largest the coolest. Emptied each night. The camping ground and amenities are spotless [G Thomas, Whangarei NZ]. Map showing location of Omokoroa Tourist Park and Thermal Hot Pools . Use the controls on the map to zoom in and out. 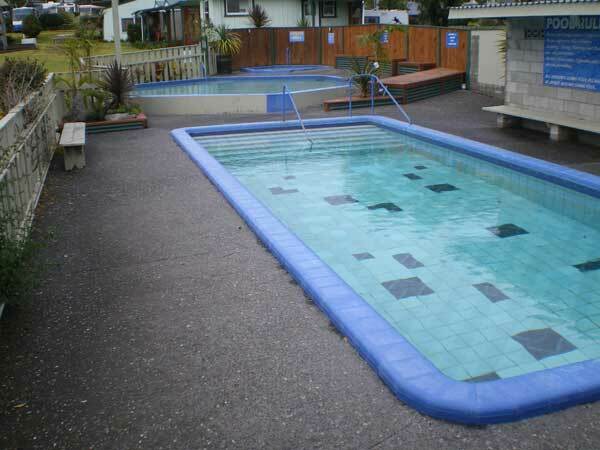 Very clean and tidy very good value for money i would recommend the hot pools. Excellent pools, clean, and lovely temperature. A toilet in the pool area and larger changing rooms would be my only suggestions. LOTS of people came through. 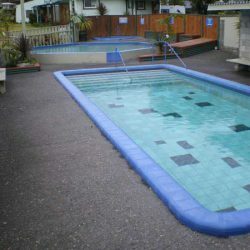 The staff were friendly, I would recommend these pools to anyone in the area. Well done. Our family really enjoyed our visit to these hotpools after a morning at the Te Puna Quarry. The pools are clean and wonderfully warm. We were lucky enough to have the pools to ourselves and had great fun. The visitor rate of $5 per adult and $3 per child is excellent value. Impeccably maintained park and pools. I would reccomend this place to anyone, especially the pools, which are the best I have been to. Fantastic, clean facilities; lovely friendly staff and great pools of varying temperatures. The kids love it, we love it! Really friendly staff, immaculate grounds and brilliant location. The three outdoor hotpools were a welcome surprise. Spacious, clean, well situated and varying temps. Definitely recommend to others. Absolutely superb thermal hot pools. The second you jump in every worry you have in the world dissapears, and relaxation and pleasure take centre stage! Accomodation was also superb, and the owners Bruce and Sharon deliver that special personal touch. Would reccomend to anyone! Have really enjoyed my breaks at Omokoroa- Love the relaxing and yummy hot pools and the clean facilities. Great and friendly staff- no doubt you will see me over and over again!!! We LOVE Omokoroa! So quiet yet convinient! The grounds and facilities are beautifully maintained and the staff are relaxes and friendly - the even have campground cats. 3 seperate pools or variying heat. 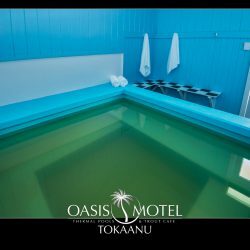 We have holidayed at omokoroa thermal springs for 7 years and they never disappoint! we went to this nice pools but the changing room was very tiny with no toilet inside the changing room. as well as big swimming pool most of it are very deep only soak into the middle and small hot pool but people who dont know how to swim you cannot do a safe dog paddle as i dont know to swim properly. all you can do is seat down in the steps and standup near the steps..